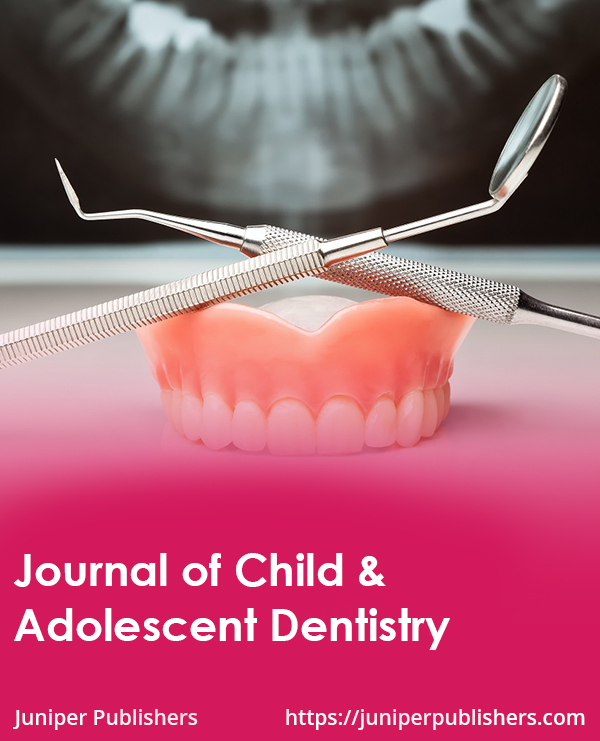 The Journal of Child & Adolescent Dentistry multidisciplinary scientific Journal, which is devoted to publish keen peer reviewed articles on the advanced research findings in the field of Adolescent dentistry and Child health ranging from the basic biological and behavioral sciences. JOCAD includes properties or performance of dental materials or the reaction of host tissues to materials, application technology in clinical dentistry and dental laboratory technology, geriatric dentistry, Bonding techniques related to the tooth hard tissue, enamel, and dentin, esthetic and pediatric dentistry, prosthodontics and orthodontics, recent development of adhesive techniques for soft tissues and slow-releasing agents, prevention, diagnosis of disorders of the mouth, teeth, gums, molecular genetics, pathophysiology, and epidemiology, behaviour management, prevention, restorative treatment, applications of dental materials, clinical and laboratory research on dental on properties and performance of dental materials. JOCAD journal welcomes all types of papers like Research, Review, Mini-Review, Opinion, Short Communication, Case Report, Proceedings etc.